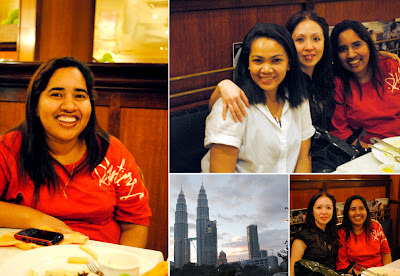 Meet up with old friend of mine, Amanda before she gone back to Dubai.. and Mary, friend that live in KL but hardly see each other. Used to work with them 6 years back in Aquaria...Time separates people apart..and to see them again was really make me happy, long chat strolling down memory lane..laughing at some silly stuff. Till we meet again folk.